Rumours and reports that alcohol will soon be allowed in Kuwait have been denied by the commerce and industry Minister. This latest rumour – rather specifically – suggested that Law 614/1967 was going to allow consumption of alcohol by foreigners visiting Kuwait in 5 star hotels. Many of the more progressive members of Kuwait’s Parliament no doubt would ideally like allow this law to go through. I don’t say ‘progressive’ because alcohol is at the end of some kind of social evolution or some such notion, but because banning it strikes me as a rather infantile. However, given the fractious and religious nature of Kuwait’s Parliament, at present I cannot see how such a law could possible go through. Allowing moderated alcohol in the country would, as far as I see it, show that Kuwait was evolving in its social mores and catering to the demands of people who are crucial for its continued prosperity. Kuwait already can’t begin to compete on countless levels with Dubai, Doha and other local centers vying for expatriates and their skills, time and money. Kuwait can be picky now while its oil lasts, but sooner rather than later, they will have to stop being so inflexible. 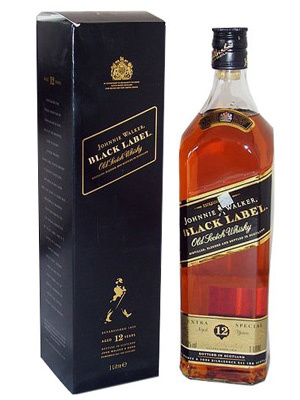 ‘I’ve got Johnny Walker black label…’ ‘oh, that’s nice…I only drink Johnny Walker Blue label myself…’. The more alcohol the richer, more erudite and well traveled one is seems to be the underlying idea. Moreover, if Kuwait really cared that much about it they would finally do something to the foreigners who routinely try to bring alcohol back into the country in their suitcase instead of simply taking it off them, tutting, then selling it back to the foreigners at hugely inflated prices on the black market.